If the songs played on the radio were your only guide to a good marriage, you might think that love is all you need. After all, of the thousands of love songs that have been written, when was the last time you heard a song about maturity? In reality, marital bliss requires a lot more than love alone. As a marriage counselor, I've heard many couples say, "We love each other, but we just can't get along!" And if things don't improve, the "not getting along" overtakes the being in love sooner or later. Together with love, there are three other traits that comprise what I call the four cornerstones of a good marriage. If even one if these four elements is weak, the marriage will suffer, just as a house built on a damaged foundation will deteriorate. This one seems self-explanatory, right? But it's important to realize that love is both a feeling and a behavior. We've all encountered someone who professes love for another, yet doesn't behave in a very loving manner toward that person. So, if you truly love your spouse, make sure your actions show it - not just occasionally, but consistently. Do you and your spouse share similar values, interests and tastes? If not, it will take a great deal of compromise and tolerance for you to get along with each other. No two people have everything in common, of course. But the more compatible you are, the easier it is to understand one another and make decisions together. This is really a personal, individual trait. But for a marriage to succeed, it is necessary for both spouses to be mature. Mature people are able to make rational decisions, take responsibility for their actions, and learn from their mistakes. They can look beyond their own needs and wants, and empathize with other viewpoints. When there is a "maturity gap" in a marriage, the relationship is apt to be more like one between a parent and child, rather than a partnership between equals. You might think it is natural to treat someone you love with respect and kindness. Yet, I've recognized the importance of this cornerstone only after encountering a lack of respect in many of the couples I have counseled. And a lack of respect will inevitably lead to a loss of love. Name-calling, ridicule, sarcasm, and other signs of disrespect simply have no place in a marriage. If your spouse often reacts to your behavior with hurt, humiliation, or withdrawal, this is likely a sign that you are not being respectful. How does your marriage measure up? If you detect a problem in any of these areas, seeking the guidance of a professional can help save your marriage before it is too late. 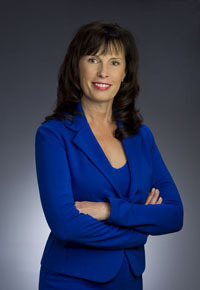 Karen Barton is a licensed Marriage and Family Therapist in Santa Clarita, CA, specializing in relationship problems. She can be reached at: karencbarton@msn.com.